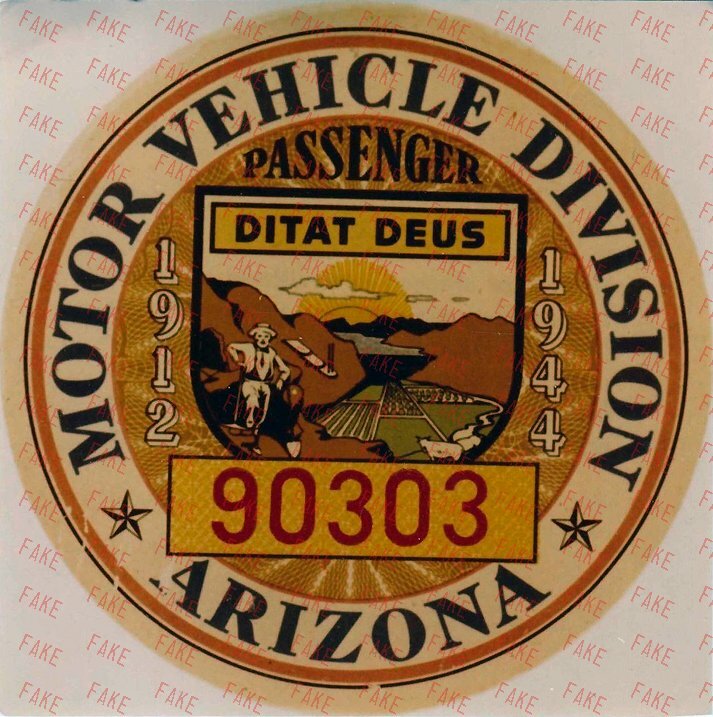 This is a 1939 plate, altered to look like a 1930 issue. 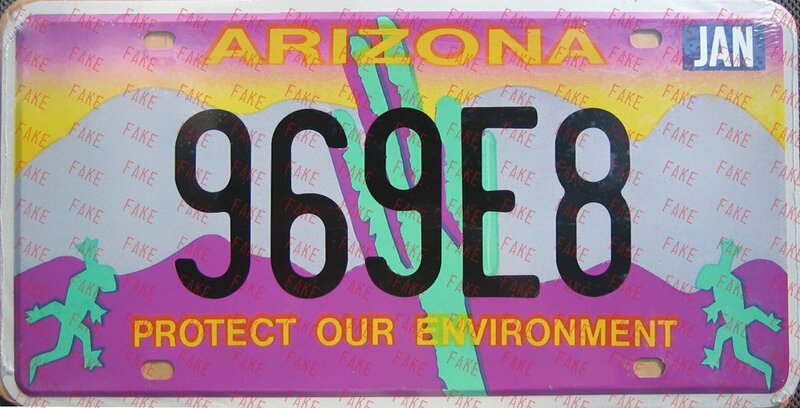 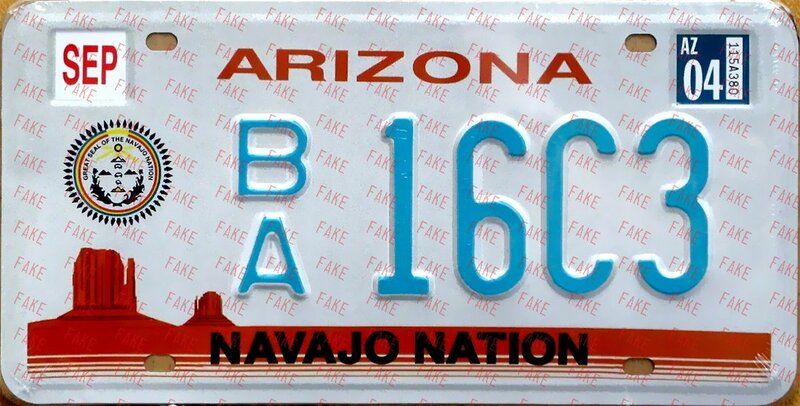 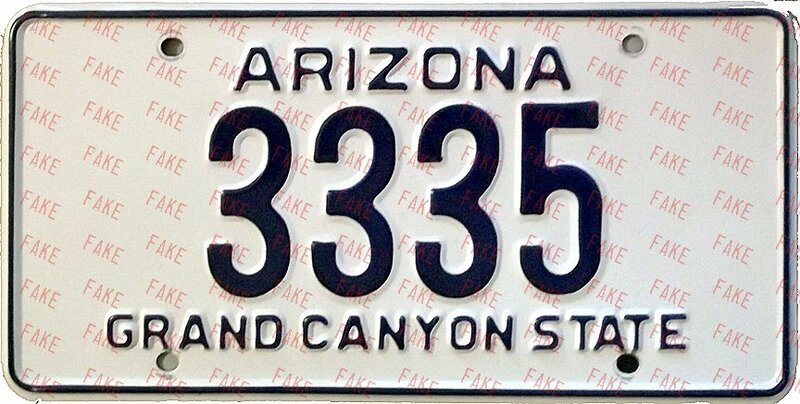 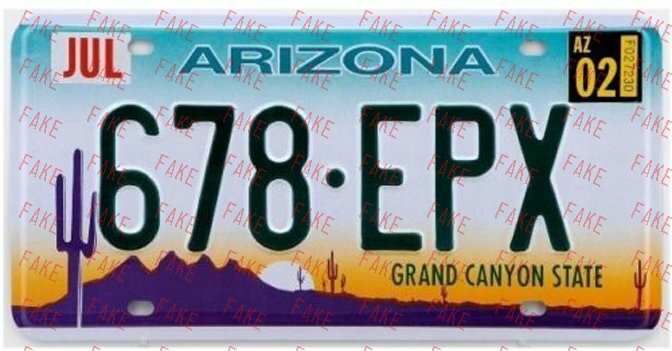 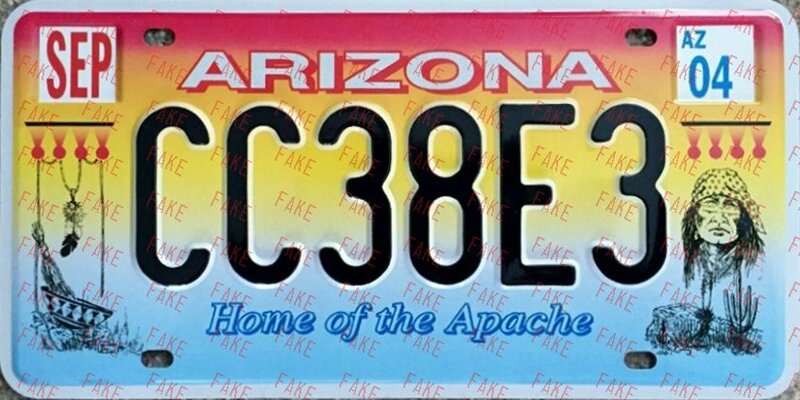 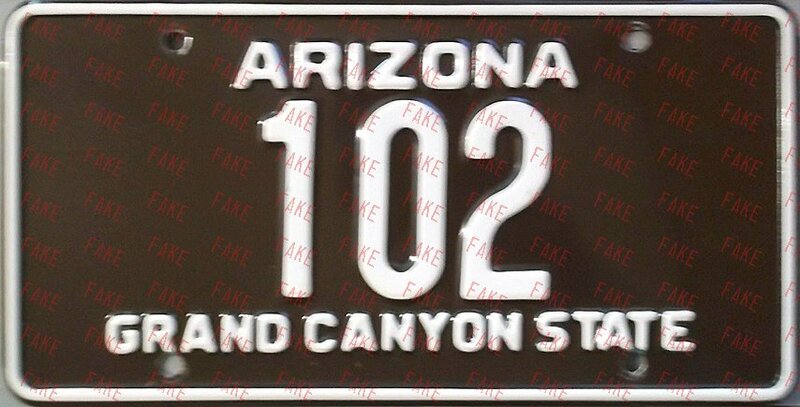 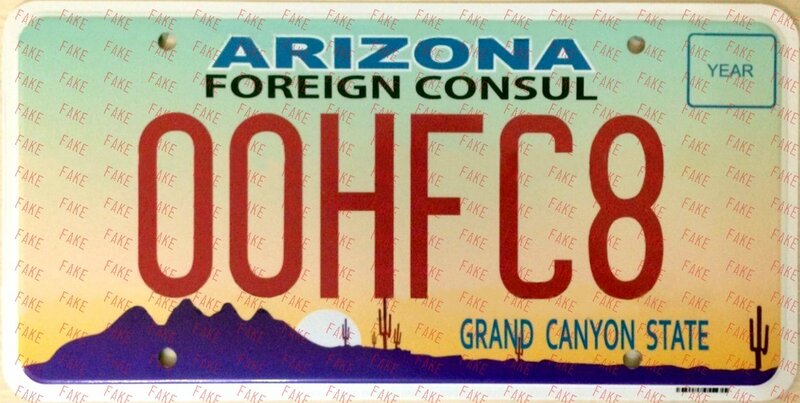 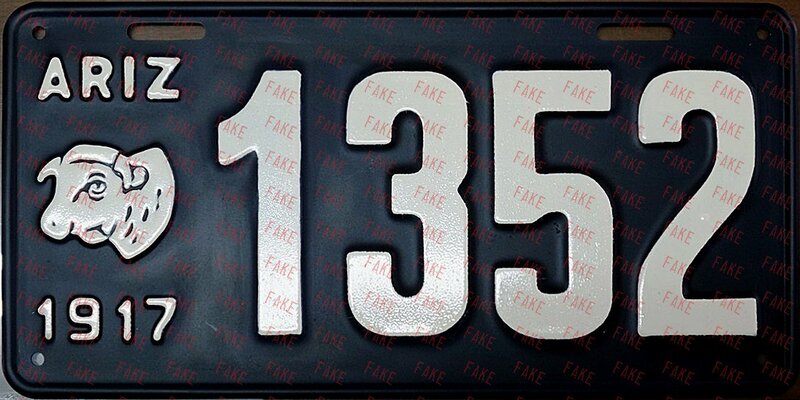 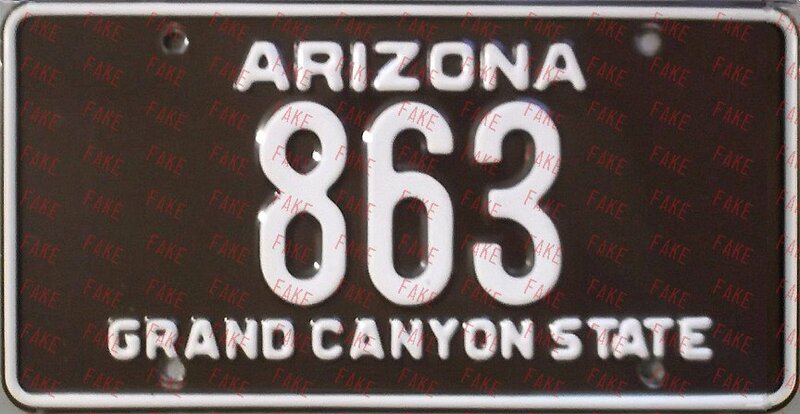 This plate, and others like it, are very convincing fakes. 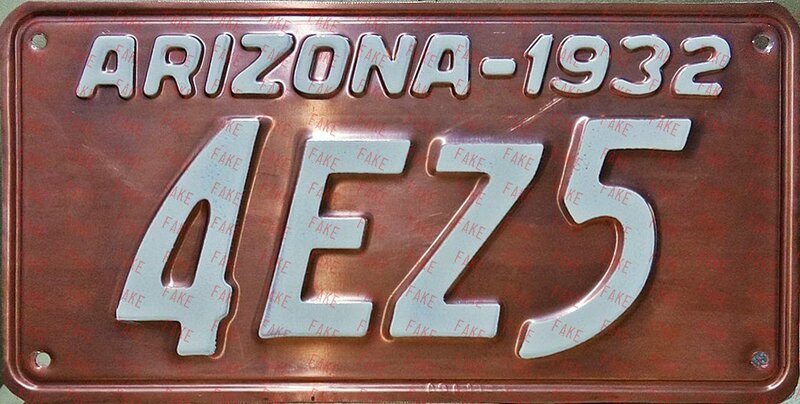 They are made of copper and have correct dies. 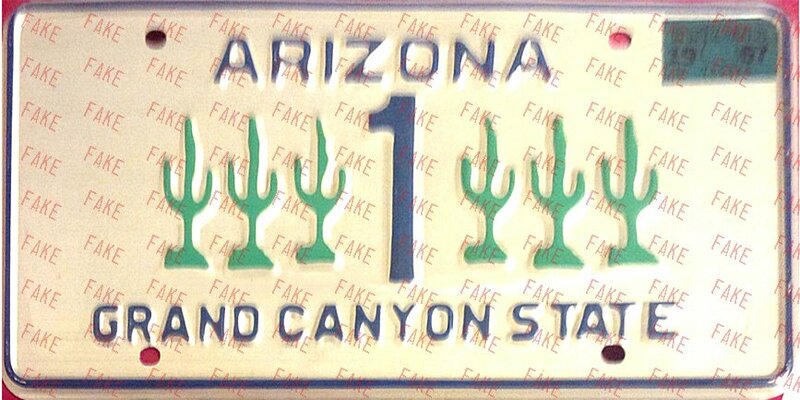 The only saving grace is that they have "replica" stamped into the metal at the bottom-center border. 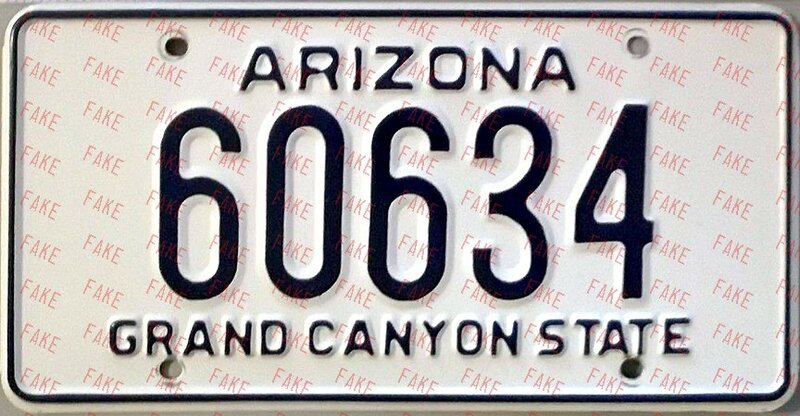 Beware of plates that have "damage" in that area. 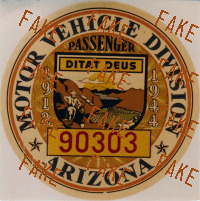 Actual decal, not a photograph. 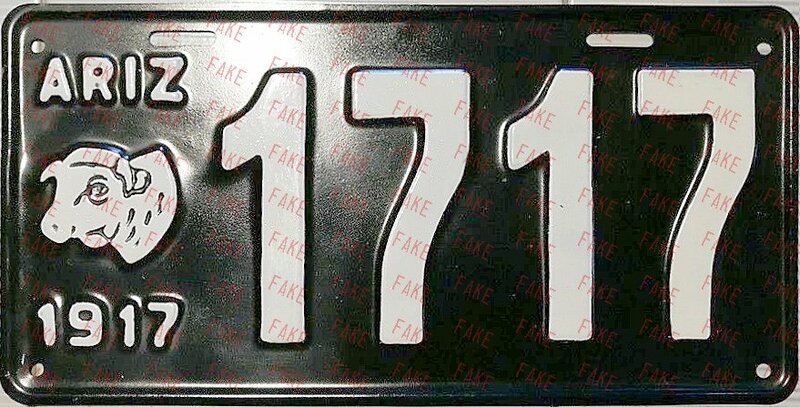 Very thin aluminum with faux sticker screened onto the plate.